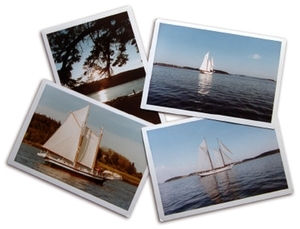 Depending upon the manufacturer, photo paper is categorized in to up to five major aspects. It's worth knowing what they mean as you comparison-shop between papers within a given maker's line. Photo paper is heavier and thicker than plain paper, mainly to offset the tendency to curl that accrues from having one side of the paper coated. Better photo paper, however, is even thicker, giving it a solid, substantial look and feel that denotes quality and permanency. Heavy, double-weight photo paper is what you want for exhibits, framed prints, and other occasions when only top quality will do. While glossy paper is the most popular kind of surface, producing the sharpest, most contrasty images, you may wish to consider others. Semi-gloss is less reflective than glossy, and some experts maintain that papers with this finish allow for a higher dynamic range—better blacks and whites. The next down the scale, matte, is more subtle and subdued. Matte paper is not as contrasty as glossy, which makes it good for portraits and artsy subjects. You'll run across some other, less-standard photo-paper finishes. "Luster" typically imparts a feeling of depth and dimension, "satin" helps create a dreamy, surrealistic image, and "metallic" gives a brassy, contemporary look. Every photo-paper surface and texture has its own characteristics, and the only way to discover which one works best for your images is to experiment with them. The best surface will sometimes depend on the content and composition of the image, too. 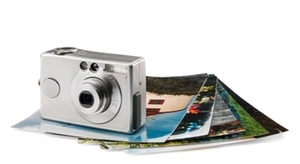 Better-quality consumer-grade photo papers tend to be whiter, producing brighter, livelier colors and contrast. However, in some brands, the brighteners used in the paper tend to fade to yellow over the decades, especially if chlorine bleach or similar chemicals were used in the manufacturing process. Professional-grade papers, on the other hand, may have warmer (golden) or cooler (bluish) colors, which can affect the overall color and feeling of your printed picture. Other pro-grade papers have a vanilla-like color, which is the natural color of the paper, without brighteners or dyes. Some photo papers aren’t paper at all. Among the many different types of media you can print on are canvas, linen, or silk. Regardless of the surface, texture, media, or weight, all are coated with some sort of varnish or patina that prepares the media to receive ink and protect the image. Then there are specialty, or novelty, photo papers to consider. These include scored sheets for easy detachment (for passport pics, student headshots, and photo-ID pictures), selfadhesive paper with adhesive backs (for pasting in albums or attaching to documents), and acetate or clear plastic media, for use on overhead projectors or lighted display panels. For pure fun, you can even print postage-stamp-like photos that kids love to stick on everything from refrigerators to book bags. Since there are no universally accepted, industry-standard ratings or gradings that you can reference and compare, the best way to tell if a certain photo paper is what you want is to read the package label or Web-site description carefully. For instance, Epson’s normal consumer-grade paper is called Photo Paper Glossy, its midrange paper is Premium Photo Paper Glossy (or semi-gloss), and its top-of-the-line emulsion is called Ultra Premium Photo Paper Glossy (which is also available in luster). 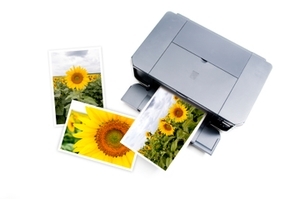 Epson also manufactures a professional grade of paper, but it’s designed to be used in its professional photo printers, not consumer PictureMate or Stylus Photo printers. Here’s a general rule of thumb of when to use what kind of photo paper. Standard-quality photo paper is economical, easy to handle, and most suited for everyday photos and snapshots. The next bump up in quality (whatever the manufacturer’s nomenclature happens to be) is heavier and brighter, and is designed for purposes such as scrapbooking and picture albums. Top-of-the-line photo paper is made of archival, heavyweight stock whose formulary helps produce whiter whites, blacker blacks, and more accurate colors. It’s the best paper to use for displays, exhibitions, framed prints, and other purposes that demand the highest print quality possible.